We are Vanessa Anderson and Ian Usher, a full-time house sitting couple, who together publish House Sitting Magazine. As two travel addicts, our paths crossed in London back in 2013. Ian was passing through on his return to Panama. Just a couple of months later, I joined him and we’ve been together ever since! Ian’s story began much earlier in 2008. Believing his life to be on a happy trajectory, after emigrating to Perth, Australia, he was knocked sideways when his wife announced she was leaving him. What happened next catapulted Ian into the media headlines. The short story is that he decided to sell his whole life on eBay and complete 100 bucket list goals in 100 weeks. That resulted in worldwide publicity, a movie deal with Walt Disney, and the purchase of a Caribbean island in Panama. Hearing about our story, the producers of the popular UK TV program, “Ben Fogle – New Lives in the wild”, visited us in Panama, and made a plan for Ben to spend a week living on our remote island. Ben and the Channel 5 film crew arrived to make a fascinating documentary of our new life together. Ben is a perceptive guy, and at the end of the program made an observation that we were now on our own adventure, and he suspected we’d soon be moving on. He was correct in every way. The island was great, but there was so much more in the world for us to see and experience together. And of course, we discovered “house sitting”. It was an easy transition for us to become international house sitters and we set off in 2014 to embrace a location independent lifestyle together. Travel and house sitting has become our passion, and we spend a lot of time helping others achieve their own unique lifestyle design. 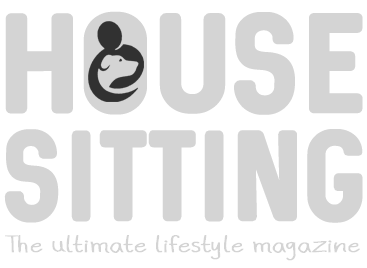 In 2016 we acquired “House Sitting – the ultimate lifestyle magazine” and we started a support group on Facebook for the house sitting and nomadic communities. We’ve spent a lot of time building our knowledge and expertise in the house and pet sitting niche, and regularly guest post for other publications too. We’ve appeared on national radio and television in both the UK and Australia talking about the house sitting lifestyle. You’ll find some of the available links below. I guess quite simply because we can, and we’ve actively designed our lives to make this possible! After selling our properties and possessions we were amazed at the feeling of freedom. Being able to travel perpetually, and live and work as nomads, is totally liberating. House sitting allows this to happen, and creating an unbiased magazine to encourage others to experience more from their lives, is our way of giving back to the community. We are part of a trust based sharing community that fosters a level of generosity that often doesn’t exist when a service is paid for. This is what we value and will continue to promote.